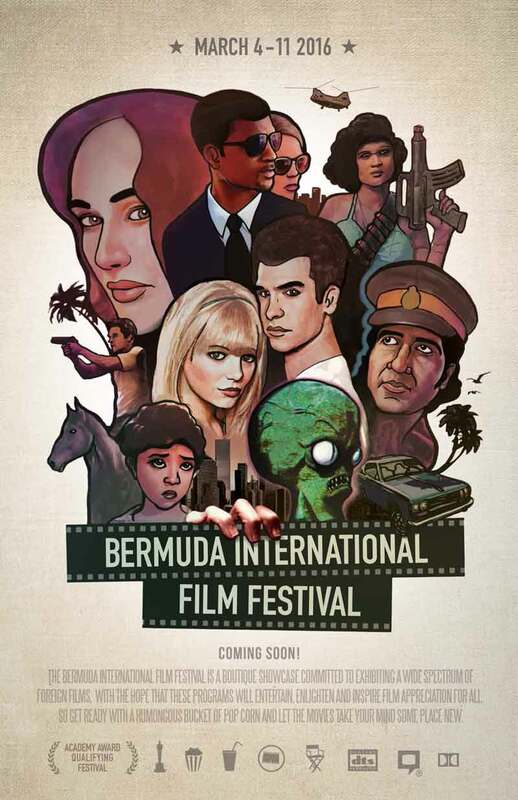 The Bermuda International Film Festival [BIFF] will return for a full week on Friday March 4 until Friday March 11 and will move to the new central Hamilton location of City Hall. JetBlue has joined as a Principal Sponsor of this 19th annual edition of BIFF to help fund this year’s enhanced format and will carry jury members, filmmakers and other special guests to the island for the event. “Once again the BIFF Selection Committee has attended film festivals in New York, Toronto and London in order to bring the best in art-house cinema releases to the big screen in Bermuda,” BIFF said. “The film line-up will be announced later this month and will incorporate the usual blend of world cinema narrative and documentary features, gala presentations, local talent showcases and short film packages to appeal to a broad audience. Andrew Stoneham, BIFF’s Festival Director, said: “We are really excited about the move to City Hall for BIFF 2016 and to be adding an extra day of films. These changes were made as a result of feedback from filmgoers about how they wanted us to evolve as a treasured Bermuda institution. “We are also looking forward to working with JetBlue as a principal sponsor, as it’s the first time we have secured the support of an airline since 2001. “JetBlue supports the mission of the Bermuda International Film Festival and the cultural and tourism benefits it represents for the island,” said Herbert Siggins, JetBlue’s General Manager in Bermuda. “This year’s festival poster designed by Uber Super Duper was launched today,” BIFF added. “As a charity, BIFF relies on its valued patrons, sponsors and volunteers to survive and thrive. For more information on how you can support this important fixture on Bermuda’s arts calendar, email info@biff.bm. very thankful for the change in venue – i am now looking forward to participating again after avoiding the last few years.